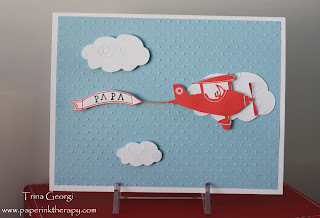 Paper & Ink Therapy: Happy Father's Day! Happy Father's Day to those who bring so much love and joy to our lives! The first card today is one I made for my kids to give to my dad. 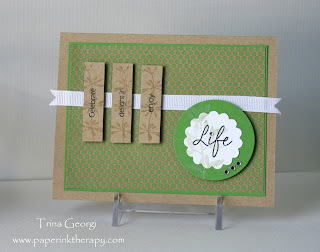 This week's CAS challenge at Splitcoaststampers was "Things That Fly". I thought this would be the perfect opportunity to use PTI's "Fly Away" set. I like how versatile the banner is...there's several sentiments that are included in the set, or you can opt to write you own like I did. 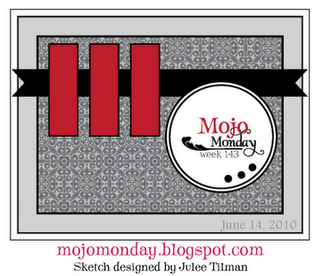 And here's this week's Mojo Monday challenge. I really liked this sketch - it evoked a lot of ideas out of me which I hope I can translate into an actual card. Have you ever had those ideas/images in your head...ya know, the ones that seems like "the" perfect design, but when you try bring those ideas to life, it's not anything like you imagine...yeah, me too. Hopefully, all these ideas I have will come out exactly as I picture it. Life lessons that you taught to me, but I got every word. But Dad, I picked up everything, it’s written on my heart. You built a strong foundation, no one can take away. So here’s to you, dear father, from your forever grateful kid. 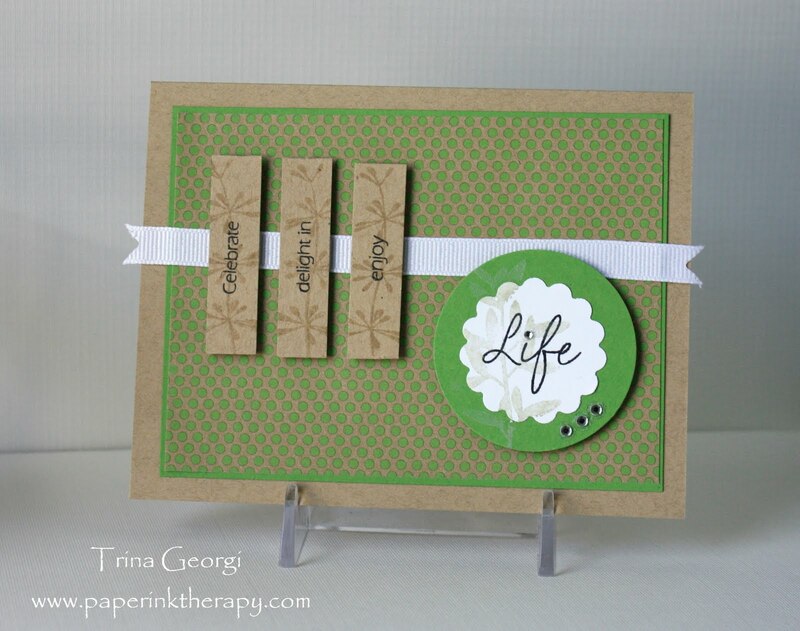 The cards are beautiful, Trina! And I love the poem, so so sweet. Happy Father's Day to Dougie!